So I wanted to create demos. Next step is to choose a name. When you are an « artist », you always choose a nickname. That the same for programmer (which are also kind of « artists » right ? 🙂 ). Before the Amiga 500, I choosed « Alex Pix » as nickname. surely because I already loved pixels. When I started using the Amiga 500 I decided to choose another one. I decided to create one group with a friend and his brother (remember, demos are make by demo group). He proposed names around satanism (yeah young people like strange and forbidden things). So we created « Satan Crack Band » (SCB) and my friend name was « Belial ». He proposed me « Oriens« . « Oriens » sounded nice so I said ok.
« Oriens » is the name of a demon. I that time, I did not know anything about demons (neither today lol). Searching the internet give this info: « Oriens » is the « demon of the east ». And sadly he is also one of the forgotten demons in the official lists!! So you will not find much about this poor little « Oriens ». Anyway, a name is just a name, so I keep this one. Here is one picture I’ve drawn on Amiga 500. Inspired from « Choose Your Own Adventure » book illustrations. The software used to draw was « Deluxe Paint ». We’ll speak about it later. With my two friends, we did not created any demos. So I decided to create another group with another friend « HAWK« . That was in 1989. Serious things are starting now. As a bonus here are the covers of the books I was reading at that time. I read the 11 first book of the serie « Choose Your Own Adventure » (In French « Livre dont vous êtes le hero » / « A book where you are the hero »). 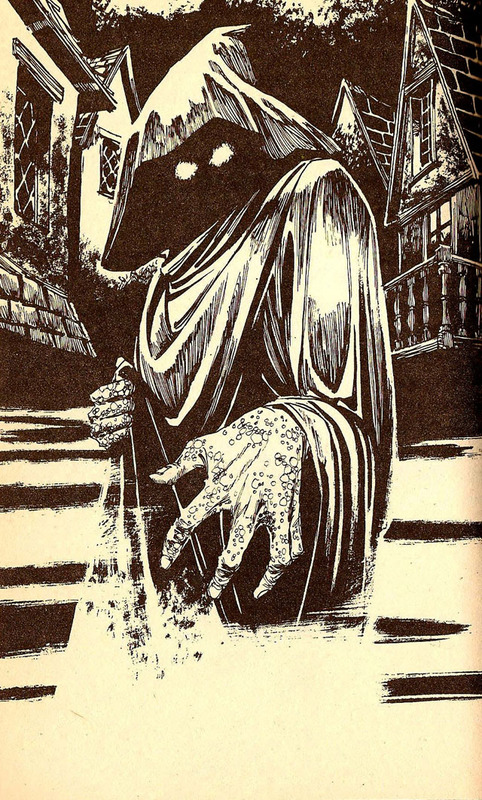 The illustration, of the flying demon is from « The Talisman of death ». Hybris Nemesis WILD DEMO from The Party 2000. Parody of the little mermaid song « part of that world » talking of beeing a nerd or coder. So funny.